When employers violate safety regulations promulgated by the Occupational Safety and Health Administration (OSHA), this creates an increased risk of catastrophic workplace injuries in Atlanta. Although injuries can happen even when no violations occur, problems with equipment or safety protocols means a greater likelihood a worker will be hurt or even killed due to dangerous conditions. As a result, one of the keys to preventing work injuries from occurring is for OSHA to conduct routine inspections and issue citations. OSHA, unfortunately, is understaffed and does not have the manpower to conduct inspections with sufficient regularity. This means OSHA often does not identify workplace violations or take action to issue citations and demand correction of issues. Employers get away with leaving safety issues unresolved, and workers are put in jeopardy. One potential new precedent-setting decision, however, could be a step in the right direction by making it easier for OSHA to do its job. The new decision which Safety News Alert indicates will be made by a trial court relates to the ability of OSHA to issue an enterprise-wide abatement order. The question of whether OSHA has this power is going to be headed to trial because an administrative law judge for the Occupational Safety and Health Review Commission determined it should be decided in court. The OSHRC made this determination after a company appealed an abatement order by OSHA requiring the company to fix problems with forklifts at all of its different branches and locations. The company in question has a long history of violating safety rules related to forklifts. 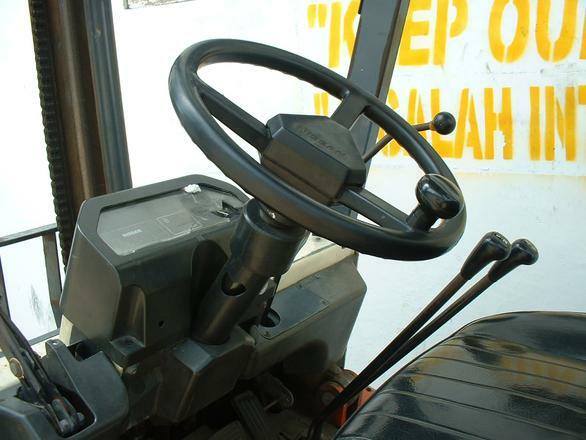 Since 2006, the company had received 11 final order citations from OSHA for problems with forklifts. Of these citations, eight were for repeat violations. OSHA also recently conducted another inspections, finding 14 violations and imposing a penalty of more than $380,000. Some of the violations included things like horns and lights not working, batteries leaking, and tire damage. The company appealed OSHA's penalty and citations, and OSHA responded by asking for an abatement order to address issues at all of the offending-company's locations. This, of course, led to a company request to dismiss the order- but the judge said the issue should be decided in trial. If it is determine OSHA has the authority to enter an order to correct all related problems at all locations, even though it hasn't visited all locations, this is a big benefit to workers. This would create precedent effectively establishing OSHA's right to issue enterprise-wide abatement orders, so OSHA would no longer need to visit each individual branch of a company's business to find problems that needed fixing. This could save a lot of time, and could save a lot of lives since most employers who violate safety standards at once place are probably violating those standards at other branches and locations as well.